Would you Rather… has been around for a long time, and with good reason. I’ve had it on our shelves for over a decade since Joe was a baby, and I still love it just as much now as I did then. 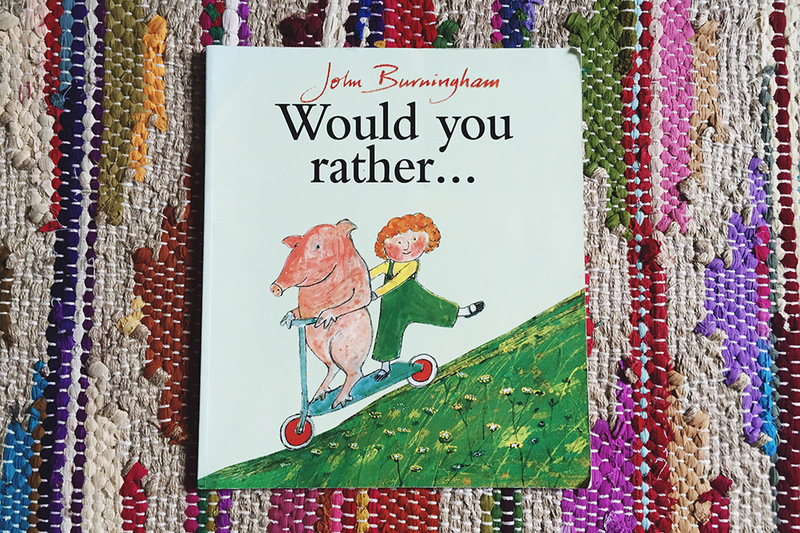 It’s full of those fabulous and distinctive John Burningham illustrations and gives little minds (and bigger, more knackered minds) plenty to look at and chat and giggle about. Sometimes even just reading the options aloud is amusing, but usually the kids’ responses are even funnier. In a world where it’s not uncommon to be reading a book for the 5492363238th time, this book is different each time you read it as their choices change as the days/weeks pass. 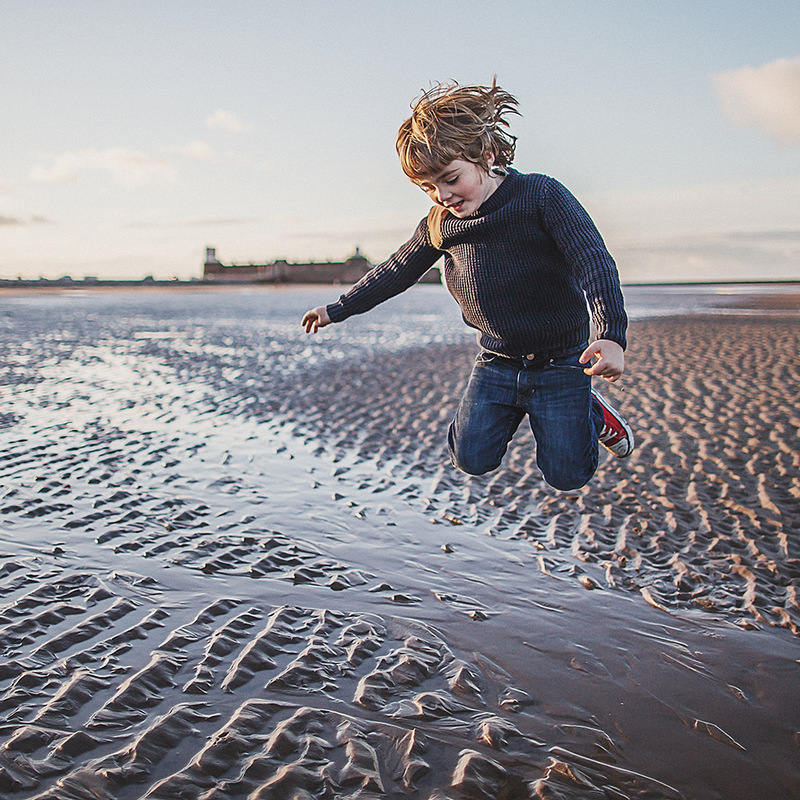 Plus, you can make it as short or as long as you want, and can tailor it to different ages – if you’re pushed for time or you’re reading to a younger child, you can just let them point to and choose their ‘pick’, but if you’ve got the time and inclination or you’re reading it to slightly older children it’s loads of fun to ask them why they picked it – their answers are often hilarious. 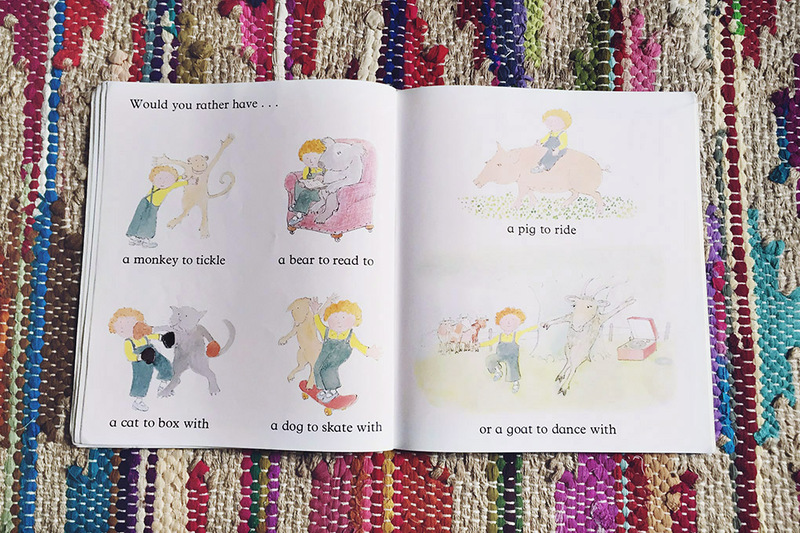 You can obviously also ask ‘why not’ about the other options… It’s just a great book to prompt light-hearted chats and discussions and get their little brains and imaginations whirring, rather than them just being passively read to. A total winner in our eyes… loved by both little ones and oldies… go grab it if you haven’t already got it!